It doesn’t take much for a person to become an addict. You can go from simply enjoying an occasional drink to the need for a regular drink just to get through the day in a small amount of time. And the consequences of your alcohol addiction can be great. They can be as huge as losing your life, whether it’s behind the wheel as a drunk driver or in your own bed from alcohol poisoning. It can ruin your family, cause you to lose friends and jobs, and so much more. Around 5,000 people under 21 die every year, in the U.S. alone, from alcohol-related accident, which include car accidents, alcohol poisoning, suicide, and more. If you think about it, that’s an astonishing number, and it doesn’t even look at those over 21. The problem is that alcohol impairs your judgement, which can lead to dumb and dangerous things, at any age. Men usually drink more than women, putting them at an increased risk of accidents, and other issues. An addiction to alcohol can ruin relationships, even marriages. It can tear apart families. Binge drinking is probably one of the worst alcoholic habits. The large quantities drank in a short period of time can easily lead to alcohol poisoning and death. Even non-binge drinkers are continuously damaging their liver and other body organs. When you are drunk you really lose control over yourself, which means you may say and do things that you hadn’t meant to. That could simply be saying the wrong thing to the wrong person, or it could be worse. Some people become violent when they get drunk, and you could quickly land yourself in jail, or even in prison. The only time it is too late to get help for alcohol addiction is when you are dead. If you realize you have a problem, get help before your addiction damages your family, or causes you to lose your job, or kill another person. 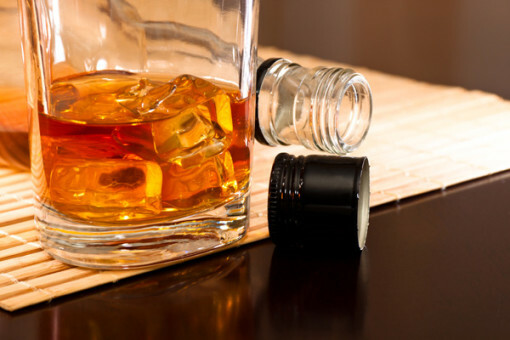 There are many different types of alcohol addiction programs out there. Alcohol addiction recovery usually starts with checking into rehab. Once you are in rehab you can start on the road to recovery. Withdrawals from alcohol addiction aren’t much better than those with other drug addictions, and it can take a lot out of you. Hopefully you’ve gotten help while you still have family by your side that can help you stay on the road to recovery. Once you’ve made it through rehab it’s important to remember you are always a recovering addict, and attend Alcoholics Anonymous meeting regularly. They could mean the difference between sobriety and being back in rehab again.